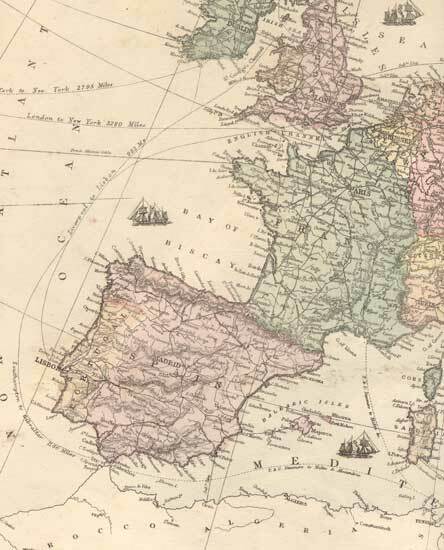 1873 Map of Spain, Portugal & France – Fun Stuff for Genealogists, Inc. This is a full color reproduction of a map of Spain,Portugal and France in 1873 showing the various counties, mountain ranges, rivers, principal cities and roads. All of our maps come in a protective, archivally safe sleeve. Measurements: Approximately 10-1/2" x 14". Sorry, maps are not returnable.